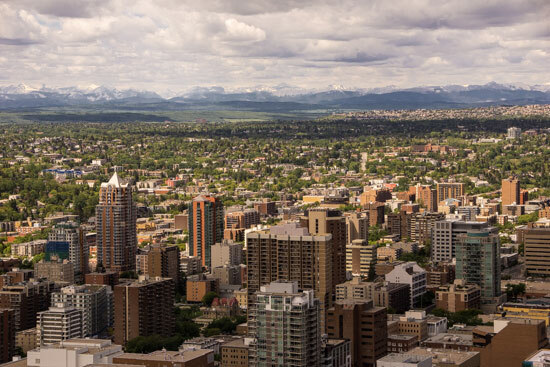 Although best known for the rugged Calgary Stampede, or as the host city for the 1988 winter Olympics, there’s also a more cultured side to Calgary. Not only does this prairie metropolis offer a vibrant downtown area, top-rated restaurants and some interesting cultural attractions, but it also boasts a nice selection of modern high-rise hotels. In short, it’s the perfect place for a city break. Access hasn’t been overlooked either, which makes it a great choice for wheelchair-users and slow walkers who want to soak up a little culture in this Southern Alberta city. 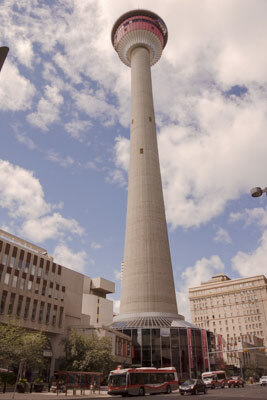 The best place to begin your Calgary visit is at the iconic Calgary Tower (403-266-7171, www.calgarytower.com). Billed as Calgary’s most famous landmark, the tower rises 190 meters above the downtown core, and offers a spectacular 360-degree view of the city. There is accessible parking available in the surface lot and parkade across the street, but if no spaces are available try the parkade on 10th Avenue, between 2nd and 4th Streets. If you choose the latter option, exit the structure on 9th street, and follow the barrier-free half-block route to the Calgary Tower. A downtown parking map with other options, along with rates and real time availability, is also available at www.calgaryparking.com. There is level access to the Calgary Tower, with accessible restrooms on the ground floor. From there it’s a one-minute elevator ride up to the observation deck. The best way to enjoy the Calgary Tower is to make a reservation for lunch or dinner in the 360 Restaurant (403-532-7966, www.sky360.ca) at the top of the tower. Restaurant patrons aren’t charged admission to the Calgary Tower, and they can check-in at a special dedicated counter on the ground floor. It’s really the best way to go, as you can dodge the sometimes long lines at this popular attraction. The 360 Restaurant offers a wide selection of lunch and dinner entrees, including seafood, beef, pasta and vegetarian dishes. 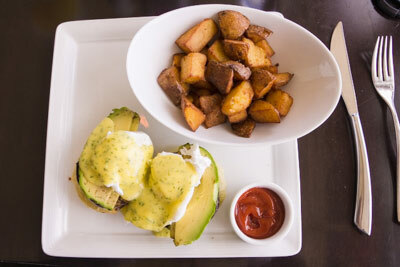 Locally sourced ingredients are used whenever possible, and the bulk of the dishes have an international flair. Best of all, you can enjoy your meal as the restaurant slowly revolves, so you’ll see all parts of the city, and even the surrounding countryside. After your meal, you can take the elevator to the observation level for a great photo opportunity. And don’t forget to walk or roll on the glass floor section. Accessible restrooms are also available on the observation level. After you’ve soaked up the view, you can take the elevator back down at your leisure. Don’t forget to stop by the Tourism Calgary Visitor Information Center in the lobby, to pick up maps and brochures on other Calgary attractions, activities and restaurants. 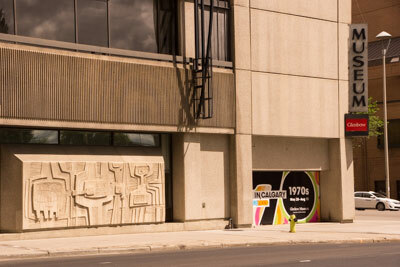 Located down the street from the Calgary Tower, the Glenbow Museum (403-268-4100, www.glenbow.org) is also worth a visit. As Western Canada’s largest museum, it features over 200,000 artifacts, including 30,000 works of art. This popular museum endeavors to present diverse exhibitions, and tell the story of Southern Alberta and the West. There is level access to the entrance, elevator access to all floors and plenty of room to navigate a wheelchair in the spacious galleries. Accessible restrooms are located on the first floor, and there is also level access to the museum gift shop. The second floor features Many Faces, Many Paths: Art of Asia, which includes more than 80 superb sculptures from Asia; plus a collection of Western and North American art that celebrates the Great Plains and the mountainous areas of the continent. Up on the third floor you’ll find exhibits depicting Calgary and Albertans of the past, with information on everything from the Calgary Stampede and early ranching techniques, to the first nations, the oil industry and the development of the Canadian Pacific Railway. Top it off with exhibits about African symbolism and a large collection of colorful minerals on the fourth floor, and you’ve got the makings for a well rounded cultural exhibition. Plan to spend the whole day there, as you’ll really want to take time to enjoy the magnificent collection. If you’d like to check out a museum with a decidedly different slant, than make plans to visit the Aero Space Museum of Calgary (403-250-3752, www.asmac.ab.ca). Located near the Calgary Airport, it features over two dozen civilian, military and commercial aircraft. 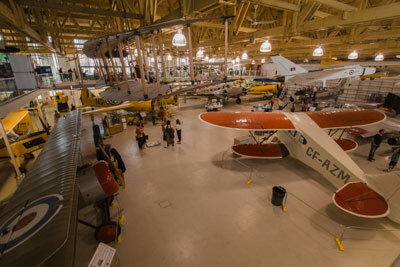 From Canada’s first powered aircraft to the majestic Lancaster Bomber, there’s lots to see and do at this aviation museum. There’s plenty of accessible parking near the entrance, with a barrier-free pathway to the front door. Inside, there is level access through the gift shop to the historic hangar, where most of the exhibits are located. Built in 1941, this hangar formerly served as the drill hall for #37 Special Flight Training School. Today it’s filled with a variety of aircraft and aviation exhibits — everything from an ejection seat and some NASA memorabilia, to an exhibit about Canadians in WWII. And of course the aircraft. Upstairs, there’s a large collection of scale model aircraft and more interpretive exhibits. There is good pathway access on the first floor, and lift access to the second floor. You’ll also get a great view of the planes from the second floor, so make sure and check it out. Of course the aircraft collection is too large for just one hangar, so a tented hangar was erected next door. There is a paved level pathway leading to the hangar, with level access at the entrance. Inside, the surface consists of pavers and hard-packed dirt, with plenty of room to walk or roll around the exhibits. Highlights of the collection include a de Havilland Canadian DHC-6 Twin Otter, the Lancaster Bomber, and some retired Canadian Air Force planes. All in all, it’s a great collection, and the museum docents are very knowledgeable about the stock. You’ll want to spend at least one night in Calgary, just to give yourself enough time to enjoy the sights, and explore the downtown area. To that end, the Coast Plaza Hotel (800-716-6199, www.coasthotels.com), which is located between the airport and downtown Calgary, is a great place to base yourself. Not only is it one of the largest hotels in the city, but this 248-room property also offers some nice accessible rooms. There is level access to the lobby, with a barrier-free pathway over to the elevators. Room 218A features wide doorways and good pathway access. 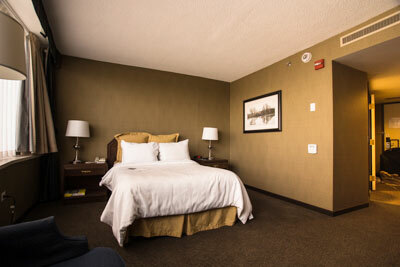 It’s furnished with two 23-inch high queen-sized beds, with an access aisle between them. Other furnishings include a desk, a table with two chairs, a microwave and a refrigerator. There is a slight incline up to the bathroom, with level access through a 30-inch wide doorway. The bathroom is equipped with a roll-in shower with grab bars and a hand-held showerhead. 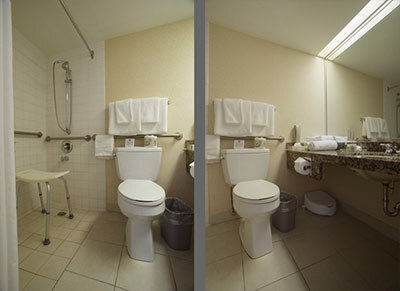 There is a toilet grab bar on the back wall, and a counter that may be used for stability on the left side of the toilet (as seated). Other access features include a roll-under sink and a portable shower bench. There is also good access to the public areas of the hotel, including the Horizons Bistro Restaurant, Barringtons Lounge and the pool area. The bottom line is, it’s a nicely accessible hotel with top end amenities and an attentive staff, so give it a try while you’re in town. You won’t be sorry!